As a cook and an angler, there is nothing better than processing your own catch. I’ve spent three seasons a year my whole life doing just that. Mostly I have been using flexible western style filet knives, and doing a pretty great job too. However, since getting into higher quality Japanese knives four years ago, I started thinking about sushi knives. To be more precise, let’s call them traditional single bevel Japanese kitchen knives. There is an overwhelming amount of things to learn if you are considering buying a single bevel knife. In this article, I want to share what you need to know before you think about buying such knives. First, I have to tell you that it isn’t common for home cooks to use these knives even in Japan. In a consumer heavy culture, it has become more trendy there to have a multi purpose knife like a santoku, made of mass produced German stainless steel. Perhaps it is because of the ease of maintenance and non intimidating looks. Maybe it is the easy access in supermarkets over there. If they want to make sushi at home, they can find in the supermarket a high quality block of tuna or pre sliced sashimi. Product like that would be hard to come by here in the US. The fishermen here simply don’t know how to process fish correctly from the moment it is caught, not good enough to eat raw anyway. My point is that even in Japan it is more likely you’ll find the high quality single bevel knives in a professional kitchen than in a home. The Japanese idea of knife making varies wildly from the western philosophy. It may be less efficient for certain tasks, but you can do almost everything in a western kitchen with an all purpose chefs knife. The Japanese way is all about specificity. For example, there is edo-saki for processing eels, or a big square menkiri for cutting soba noodles. If we had to pick only 3 knife styles that can handle most of the tasks in the fish and vegetable centric Japanese cuisine, the answer is clear : deba, yanagiba, usuba. These are the ones I will discuss the most in this article. I will help you choose the best sushi knife for your needs. What is a Single Bevel Knife? A deba is completely the opposite of the western style filet knife. It is thick, heavy, and inflexible. With the correct technique, it is the best way to break down fish leaving very little on the bone and getting you the most yield of usable blocks of fish ready to slice for sashimi. Time for real talk. If you are a home cook, are you going to be cutting up a 200 pound tuna? Probably not. If you’re going to get a deba and plan to fillet your own fish, you probably know the target fish species you will be working with and how big they are. There are only a few that make sense for home cooks in size and price. Where I live on the east coast of the US, I know what I can get appropriate to eat raw: salmon, sea bass, snapper, mackerel. For average sizes of these kinds of fish a 165mm to 180mm deba are perfect. If you’re a restaurant cook in charge of breaking down big fish day in and day out, consider a bigger deba. The biggest I think anyone needs is a 210mm. The biggest tuna, I’m talking hundreds of pounds, will be broken down at market with specialty knives and sold off in blocks. Tanaka 165mm blue steel deba and a line caught pollock. Not for sushi, this species should be cooked, but I used the deba to gut and prepare it for roasting whole. It’s a great little knife, easy to sharpen, holds a great edge. It’s the right size for the 2-8 lb fish I usually process. 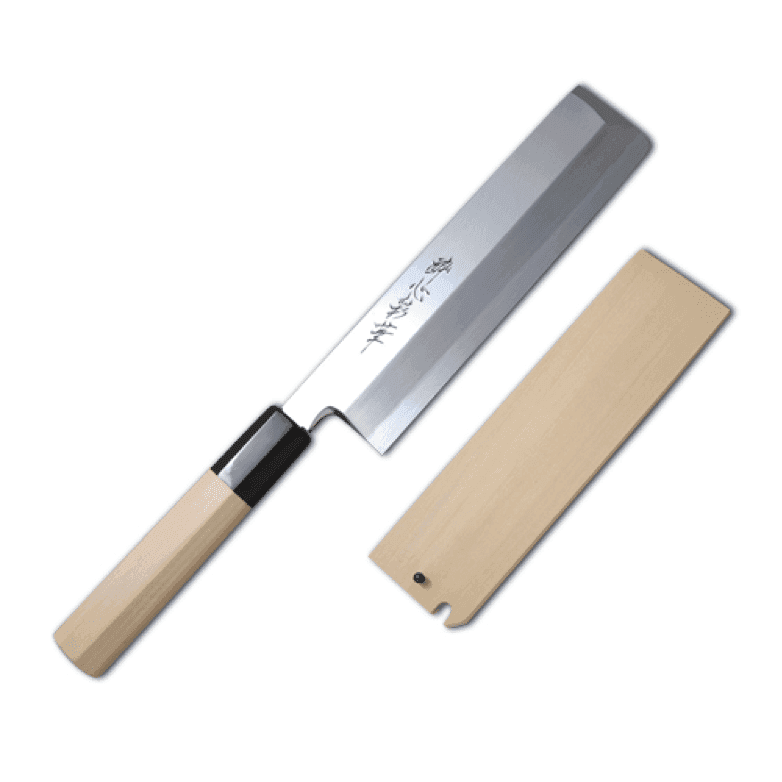 This is the single bevel slicer most people think of when they think ‘sushi knife’. The truth is if you’re making maki rolls, you can do it with any knife that is thin enough to slice the rolls without crushing them. I have seen top sushi chefs doing this with gyuto and sujihiki, both double bevel type knives. Yanagiba is great for sashimi and also crudos which are becoming more popular since Top Chef season 14 when just about everybody was making a crudo. I have also used it for slicing thin beef for carpaccio. Really it’s good for any boneless protein you want to slice thin. If you’re dealing with thicker cuts of beef a sujihiki is probably better with its more robust double bevel. Where the yanagiba excels, is at slicing fish. Particularly fish that has already been filleted by a deba. If you’re no good at filleting, that’s okay too. There are blocks of flash frozen tuna and salmon sold at high end grocery stores like Whole Foods. You just have to thaw and it’s ready to slice. It’s not the best, but it’s safe, you won’t get parasites, and it is easily found even in landlocked states. If you want the best product, you need to do some shopping around for the best seafood vendors or catch it yourself. 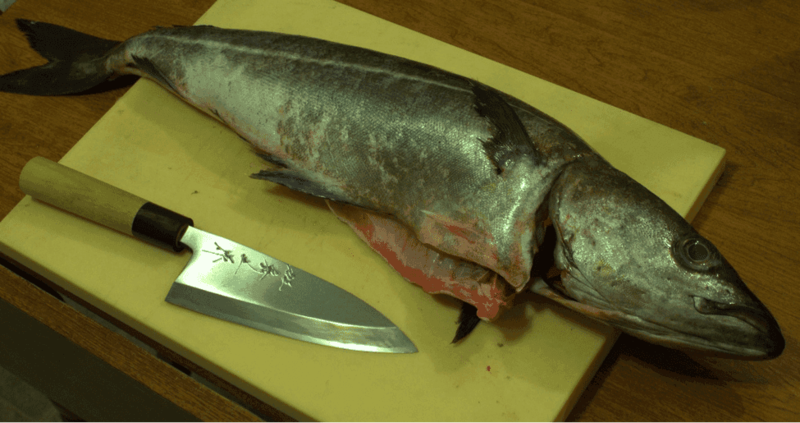 When using a yanagiba, you are trying to use the length of the blade to cut your fish in one smooth drawing motion. The longer the better; 270mm or 300mm are preferred over anything shorter. I like this video showing a yanagiba in use. In particular, notice that his elbow is mostly locked and he is moving is full arm from the shoulder. See that the knife cut starts from the heel with the tip pointed up so he can use the full length of the yanagiba. I have the Korin Shiro Ko Kasumi 300mm yanagiba. It comes sharpened and I have had no issues following their sharpening. The white steel is the easiest carbon steel to sharpen and it holds an edge well. I use it to make a lot of crudo at home. My favorite fish is sea bass or striped bass I catch myself. It’s a valuable skill and a first step in different types of Japanese garnish. If this is not the type of cut you are looking for, then consider other knives to better serve your vegetable work: chefs knife, gyuto, chinese cleaver, or nakiri would all handle board work well. I think this style of knife is worth mentioning even though it’s not truly a single bevel. This is the Japanese version of a boning knife. It is stiff and inflexible and has a pointy tip. It is meant for processing chicken into parts. Not breaking bones, but cutting around joints. It’s not really a single bevel; actually it is a highly asymmetric 99/1 bevel. It is sharpened like a single bevel knife without uraoshi sharpening on the back side, just quick deburring. I have the gesshin stainless honesuki from Japanese Knife Imports pictured below. It has gotten me through 3 bbq catering seasons breaking down many cases of whole chicken. 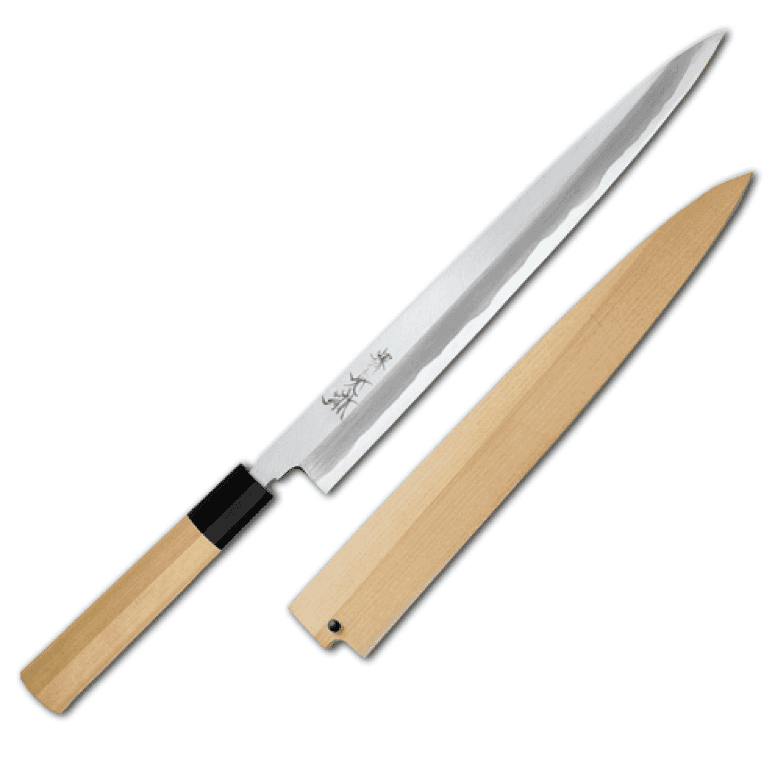 If you are doing yakitori, this is the knife to use. Gesshin stainless honesuki from Japanese Knife Imports. There are a couple important things to consider when shopping single bevel knives, especially online when you’re buying a knife you haven’t seen in person. Reputable vendor – Buy from a vendor you trust. Especially in the entry level price range of single bevel knives, there are some lemons. Chasing deals to save a few dollars seems like a good idea until you get a warped knife and pay 15% restocking on top of the return shipping. Skip ebay and buy from a well reviewed and trusted vendor. That leads us to my second point. Make sure it is straight! – If you are buying in person, look down the knife from heel to the tip and make sure the blade road is perfectly straight. Bent single bevel knives are impossible to work with to cut the even thin slices they are supposed to. It’s very noticeable cutting food and when sharpening. A good vendor will honor returns for this reason without hassle. A great vendor will check that it is perfect before sending it out. 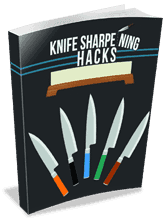 Initial sharpening – Have you ever sharpened a single bevel knife? If you haven’t, then leave it to the pros for the first time. Single bevels need to be ‘opened’ with a first sharpening. They are not shipped from the maker ready to go, because the edge is a personal thing for a chef. Each chef sharpens to their liking. I recommend buying from Korin or Japanese Knife Imports if you are in the United States. Both will open the knife and do initial sharpening for you. After that it is easy to follow along the next time you sharpen. 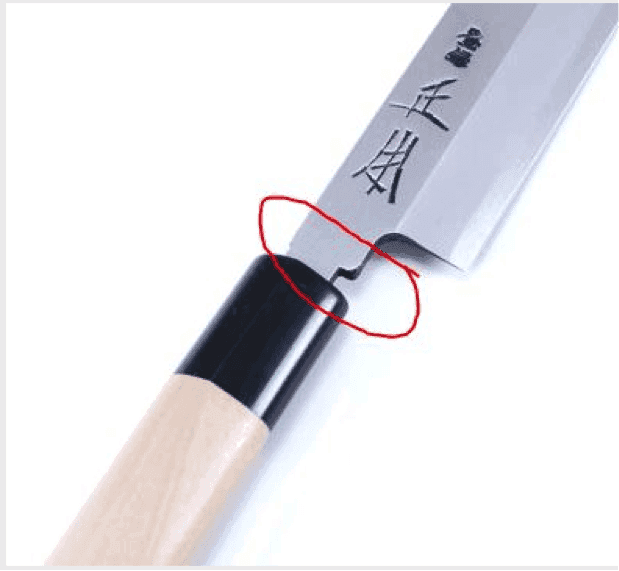 Machi – Some Japanese knives have a gap next to the handle known as a machi. It’s not a bug, it’s a feature. You might think it is an improperly seated wa handle, but it exists on purpose so the handles are easier to remove and replace. If the knife has a machi, then the length given is, in general, measured from the tip to the machi. 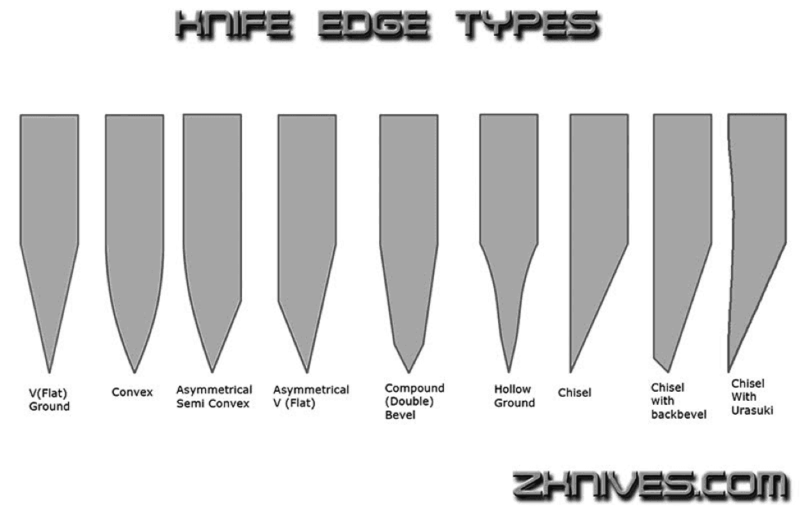 Otherwise, most knife lengths are measured from heel to tip. Machi – the gap before the handle. Get ready to deal with Carbon steel – Single bevel stainless is more rare, expensive, and difficult to sharpen/use. With these styles of knives, you are most likely going to be looking at carbon steel. You will need to get into the habit of cleaning your knife religiously and dealing with reactivity (rusting). I am writing a whole other article on this soon. If you’re looking for your first single bevel knife, I recommend Gesshin Uraku or Korin kasumi, house brands for JKI and Korin respectively. They are in similar entry level price ranges, both are quality white steel, likely to be straight, and offer free initial sharpening to boot. I really would not go cheaper than these. The likelihood of running into quality issues gets very high on budget Japanese knives unfortunately. Dear Vincent, Very well written article. I learned a few things. I’ve been impressed with Jon Broida and the time he has spent with me on the phone. Great guy. I got King stones, 1000 & 6000 from MC. I was having trouble removing the burr, but Jim helped me, as did the videos from Vincent at Korin. Having realized coarse stone is to start was an epiphany. Jacques Pepin sharpens his knives on coarse stones and can do everything. He doesn’t spend a lot of time sharpening. Sorry to ramble, but you switched me on! One of these days I’ll get my first single bevel from Job, and I’ll let him know you were the impetus. For now, I use a 45 year old Chicago cutlery 8 inch chef’s knife that I had given my dear mother. Thanks a million! Great article, made me want to buy a single bevel knife. Another awesome article, thank you Jonathan. I too have been a fan of Jon Broida for some time now. Thanks Knifeplanet for making this all happen. Thanks everyone! The basis for this article is things I wish I knew 4 years ago. I hope it’s helpful for someone shopping today.